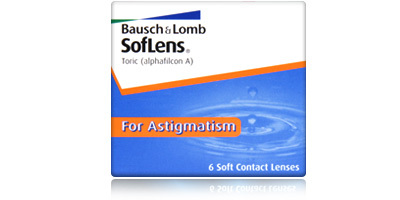 Made by Bausch & Lomb Soflens 66 Toric contact lenses offer sharp focus, stability, exceptional comfort and good oxygen permeability; essential for eye health. These monthly disposable contact lenses are suitable for all wearers affected by astigmatism (subject to your Opticians recommendation). 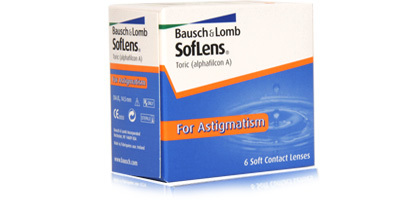 Soflens 66 Toric lenses havea high water content, giving them better breathability compared to similar products. Oxygen filters through the lens to the cornea easily, keeping your eyes hydrated and free from the effects caused by dryness. Bausch & Lomb’s exclusive L-Torque design gives Soflens 66 Toric lenses great stability. The rounded edges coupled with the softness of the material supply a comfortable, natural fit. 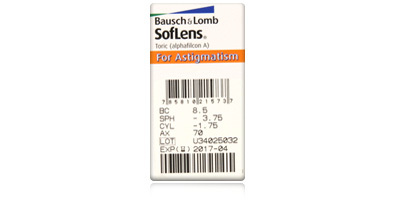 Soflens 66 Toric also have a visibility tint which allows for ease of handling and application. It’s easy to tell if they’re inside out, so you apply them correctly each time. 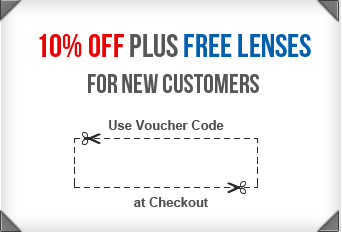 Please call one of our advisors on 0330 088 3133 with any questions about Soflens 66 Toric contact lenses. lensite.co.uk ship 98% of orders on the same day as placement.